When you want to take a dirt bike with you on your camping trip, then choose the Somerset Evolution E3 Deck. Your fun can continue on the trails since there is room for a dirt bike or two. 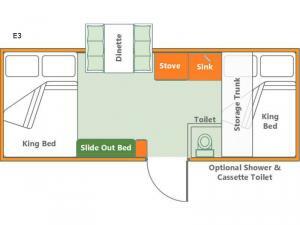 As you enter the camper to the right you will find a toilet or an optional shower & cassette toilet. To the left of the entrance there is a slide out bed. 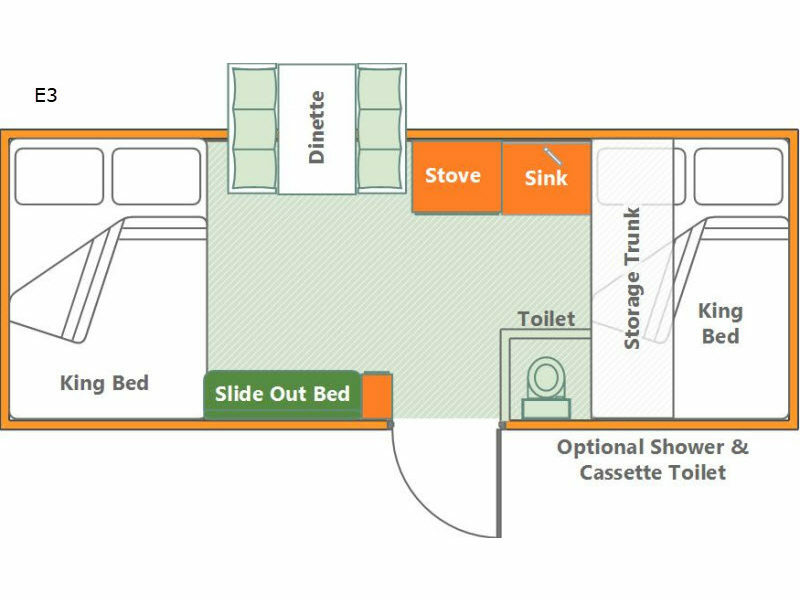 The opposite side of the camper has a slide out dinette, stove and sink. 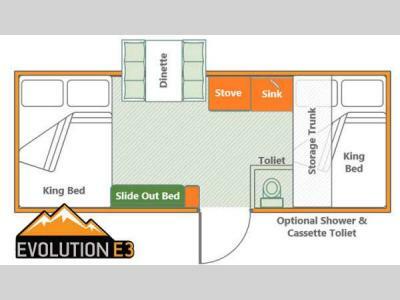 You will find king beds in both the front and the rear of the camper, and much more!